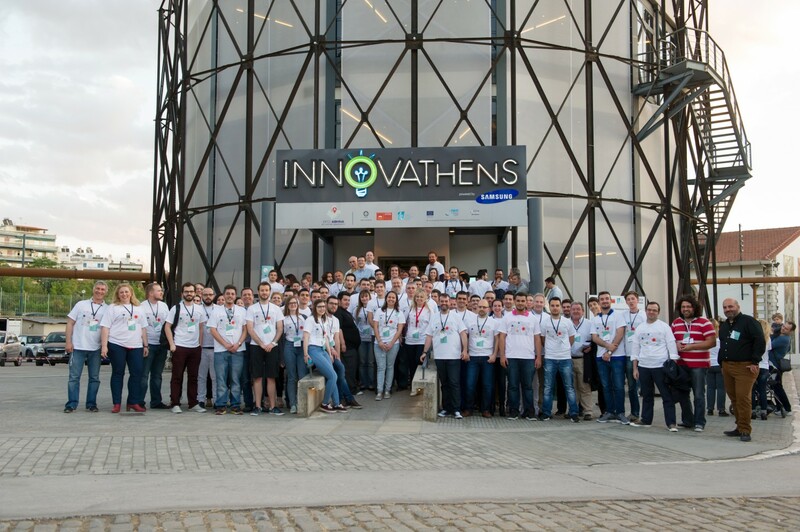 The National Bank of Greece (NBG) and Crowdpolicy held Greece’s first-ever fintech hackathon at Innovathens on 23-24 April 2016. Held in collaboration with Crowdpolicy, the first NBG i- bank crowdhackathon #fintech was designed to promote young, innovative entrepreneurship to help restart the Greek Economy. During the 36-hour hackathon, participants were required to develop and present apps or business solutions that could be used to improve financial transactions. All participants had access to mentors from NBG, consulting and business experts, and major players in the financial services and technology industries, such as Mastercard and Amazon. NGB also provided its new Open Bank API (application programming interface), a first for the Greek market. A total of 16 groups entered the hackathon, comprising young entrepreneurs, developers, analysts, designers, business consultants, professionals, students and communications, marketing and customer service executives. First place went to Bankbot, a smart app that uses Chatbot technology to provide an automated customer service via Facebook Messenger. In second place was RSK-Mind, a big data and machine learning app that can detect malicious transactions, and in third place was Smartpay, an app that allows customers to transfer money and make purchases by scanning a QR code using their mobile. The winners were awarded cash prizes of up to €1,500 Euro and also received a €20,000 contract to work with NBG to develop their apps, as well as access to consulting services and prepaid Mastercards. This article was published at EFMA (link – pdf) on 6th May.